Warnings to holiday makers to stay out of the sun, with temperatures in parts of Britain expected to rise above 35C (95F), has led to a furious response from tourism bosses. Monday was the hottest day so far of 2018 in the UK with a high of 33.3C recorded at Santon Downham in Suffolk. 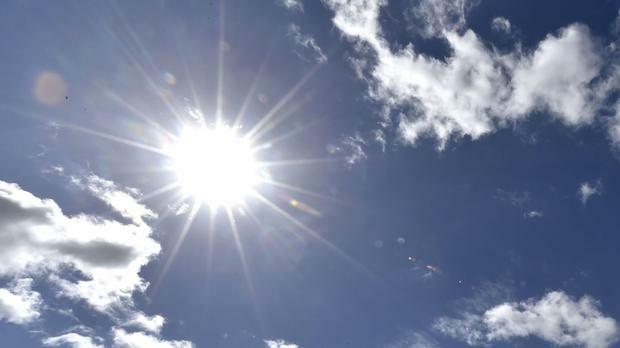 But it is set to get even hotter, with temperatures expected to peak tomorrow and Friday thanks to a plume of air dubbed the ‘Mediterranean Melt’. Malcolm Bell, chief executive of Visit Cornwall, fears warnings could have an impact on the economy. “It’s nanny state with the biggest capital N you could possibly print,” he said. A respite from the heat could arrive with thunderstorms in eastern areas. An amber “heat health watch” warning has been issued for parts of England.